Marketing – WHO IS ANDREA KITAY? 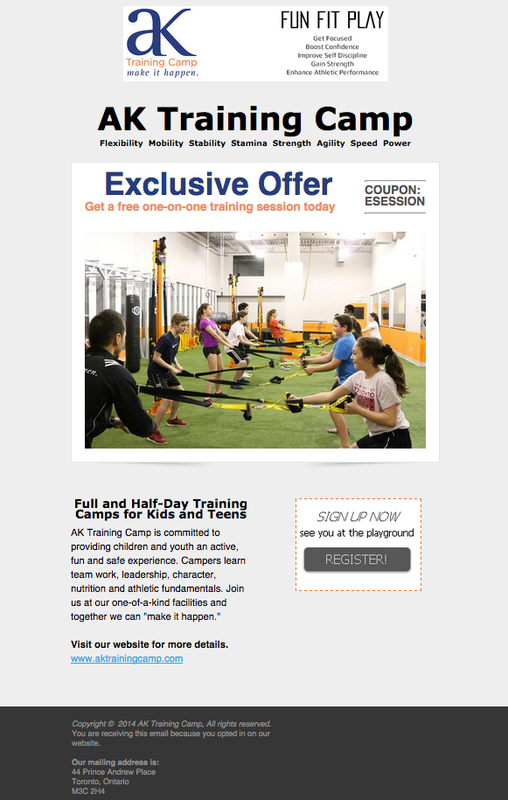 During Seneca College’s Web Optimization Analyst program, I created an email marketing blast for local GTA business AK Training Camp, with the goal to encourage camp sign ups by offering a free one-on-one training session. Working with the Development Coordinator, I created a sponsorship deck that was used to secure funding for the Society for the 2014 Scotiabank Toronto Waterfront Marathon. Jewish Urban Meeting Place (JUMP) is located in downtown Toronto and aims to engage the young Jewish community with a variety of educational programming and special events. Since 2010, the Joel Schwartz Memorial Hockey Tournament (JSMHT) has been held to honour the memory of Joel Schwartz. Often misunderstood because he lived with Asperger’s syndrome, Joel, accompanied by a Reena volunteer, went on a life-changing Taglit-Birthright Israel trip in 2009. Joel passed away only a few months after his trip but the JSMHT has been held every year since 2010 in his honour, to raise funds for programs and services that enhance the lives of adults and children with developmental disabilities. 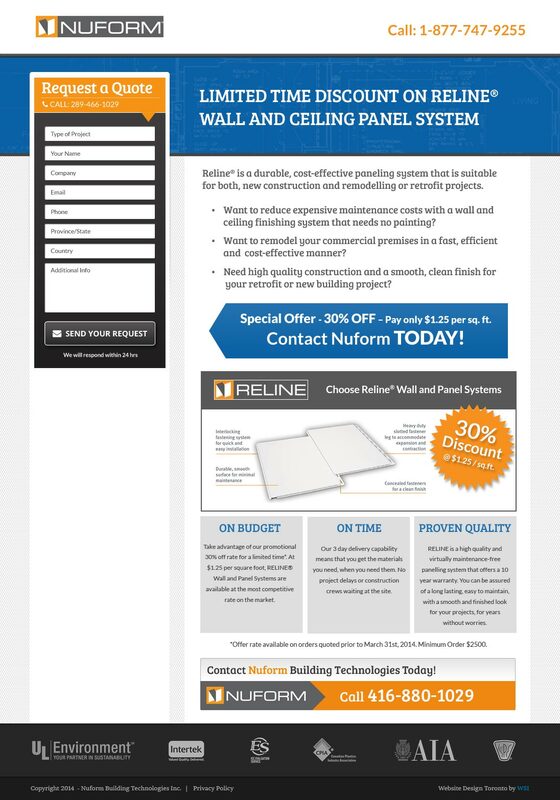 Nuform Building Technologies specializes in a line of revolutionary building systems. Quality-driven, they focus on improving construction efficiency while maintaining cost-effectiveness. Products include a wall paneling system and a wall-forming system. thinkCOMPASS is a digital and marketing agency that helps businesses grow through smart communication. The Yellow Rose Project (YRP) gives Holocaust survivors the opportunity to build relationships, celebrate life, and to educate the Millenial/GenX generation – the last group that will have personal experiences with Holocaust survivors. Since 2007, the YRP has been putting on a Senior Prom, where Holocaust survivors get to experience the magic of prom with young professionals. Guests enjoy a full course meal, a variety of entertainment, a personal photo and yellow roses boutonnieres/ corsages.